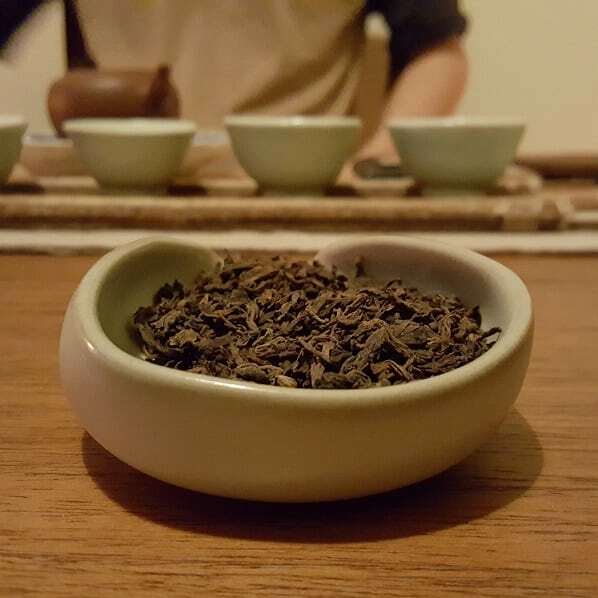 Last weekend, I drank an oolong that was—quite possibly—a hundred years old. 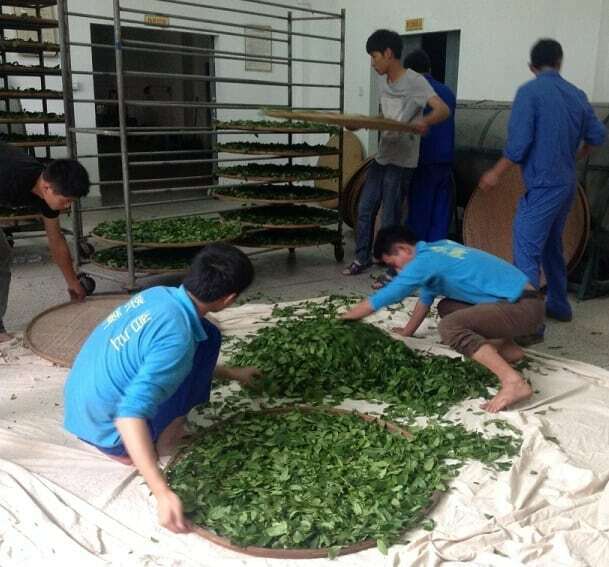 I think I’ve mentioned this before, but Rou Gui was the first Wuyi oolong (or Yancha) that I ever liked. Image mooched from the Almighty Wiki. 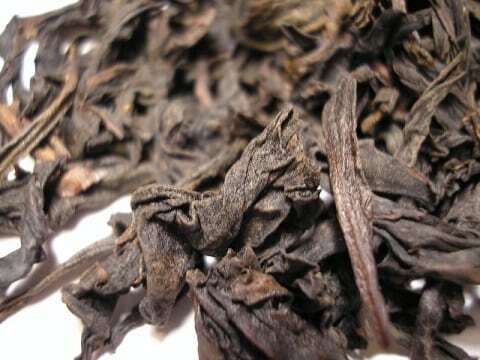 Before a certain Da Hong Pao back-flipped my palate, I never really took a liking to Wuyi rock oolongs. They always tasted like . . . well . . . roasted rocks. In leaf form. Rou Gui, while as “burnt”-looking as the rest of them, seemed different. Not sure why, but there was room for more subtlety in the palate delivery. 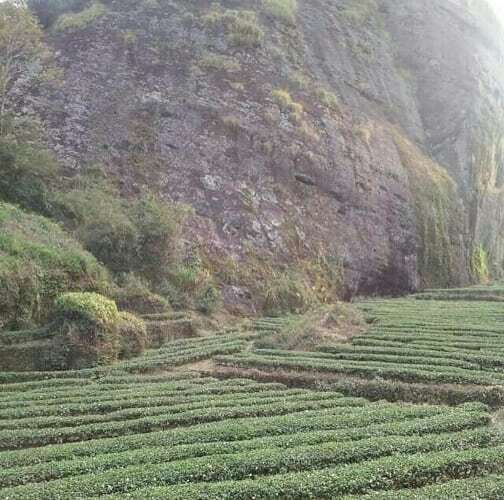 Since then, I’ve come to appreciate a myriad of Wuyi oolongs. So much so, that poor ol’ Rou Gui kind of got left in the dust. Tie Luo Han took point as my overall favorite. Then I got an e-mail from Jeff Kovac of Four Seasons Tea some random month in 2016. He wondered if I got to one of the samples he sent some months back, particularly a Rou Gui called “Niu Lan Keng”. I told him I hadn’t (but left out the part where I didn’t plan to). My exploration of Rou Gui as a tea was—so I thought—finished. However, Jeff re-emphasized that this stuff was special. 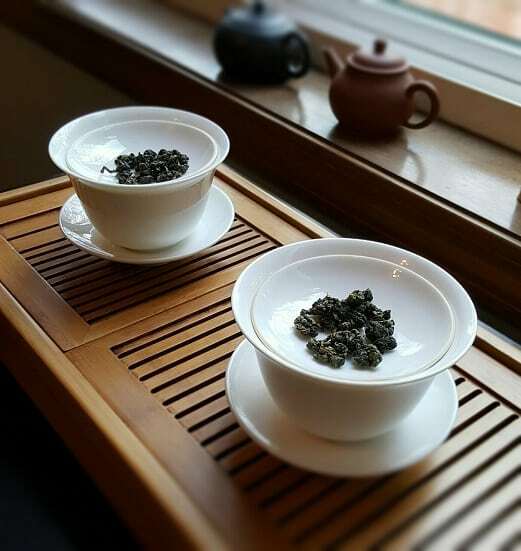 It hailed from the same growing region as the really special Da Hong Pao he passed my way did—Zhengyan. 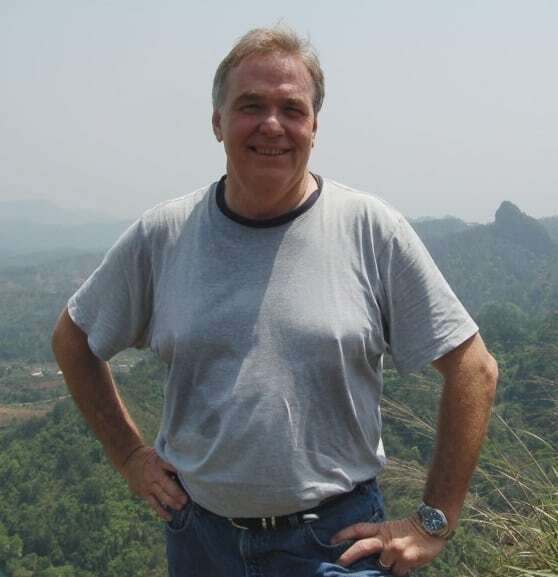 Specifically, the Niu Lan Keng growing region. 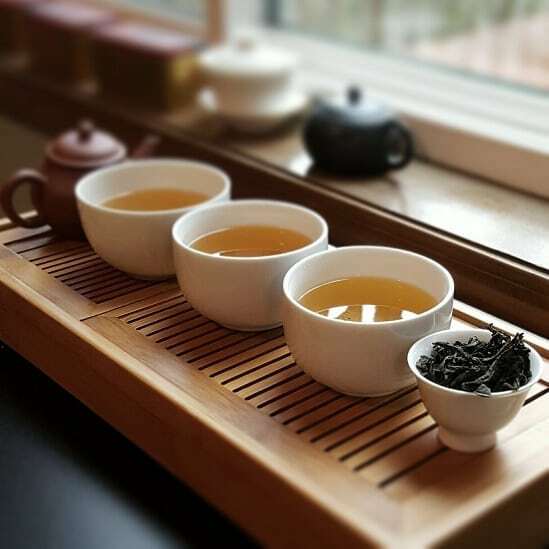 Image owned by Four Seasons Tea. 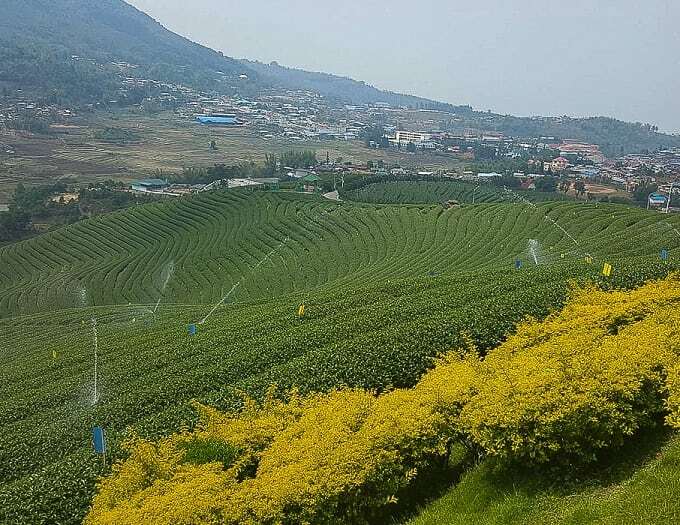 With low yields on a regionally specific tea came a high price tag. This tea cost even more per gram than “Mother Tree” Da Hong Pao. That, in and of itself, was astounding. 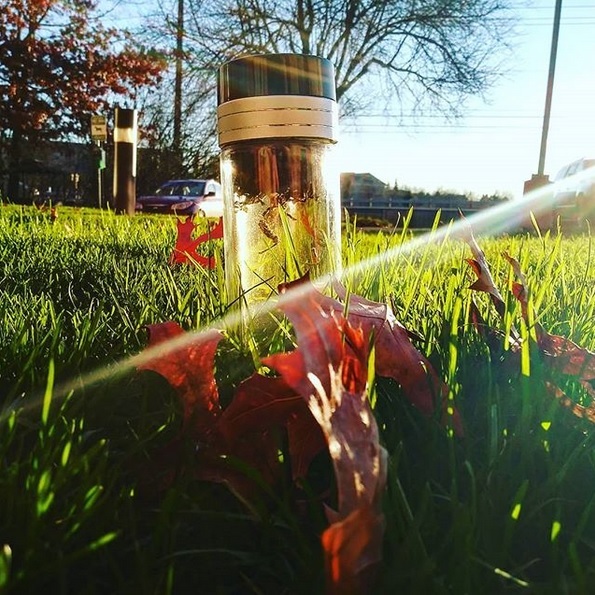 Sometime in autumn of last year, I finally got around to brewing it up. Was it at all special? I aimed to find out. 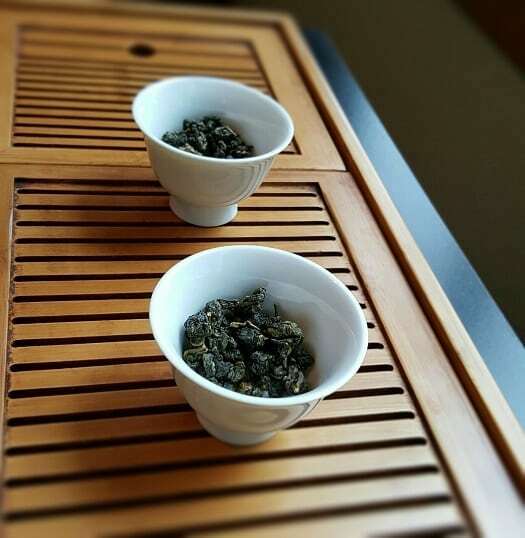 Most Wuyi oolongs I’ve come cross all have similar appearances. 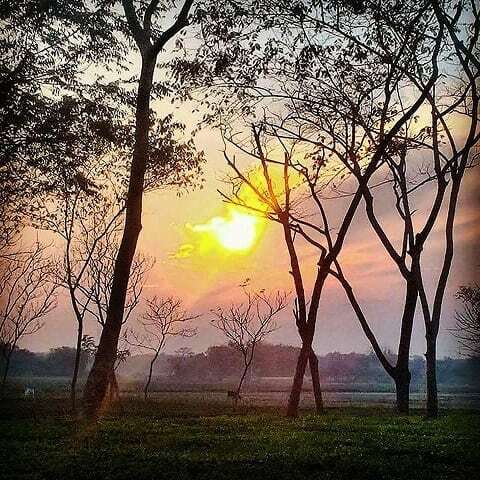 The leaves are long, twisty, and (for the most part) soot black—usually a result of the charcoal roasting. I was surprised in two ways with this one: (1) Some of the leaves actually had a shade of beige or green to their color. And (2) when I tore open the bag, all I could smell was straight butter. Well . . . butter that’d been roasted on charcoal. (Is that even possible—roasting butter on charcoal? Someone get on that.) Point being, it was a lovely visual and visceral bouquet. Yes, you’re catching me using the word “bouquet” in one of these yarns. Don’t get used to it. For brewing, I approached it as . . .y’know what? I wasn’t really paying all that much attention. I knew I wanted to use a yixing pot; I know I wanted three or four successive steeps. Didn’t really care what leaf amount either. I guessed that I put about a tablespoon of leaves in the yixing pot, and I suppose each steep was about thirty-to-forty seconds. But—honestly—I didn’t care. The very essence of “gongfooling” as opposed to gongfu. Each infusion was the color of steampunk magic brass. Not to be confused with normal brass, which is a bit dull on display. The liquors were bright, spry and . . . well . . . downright magical-looking. Magic brass; I’m sticking to that. The “roasted butter” showed up in the steam smell, along with fruit and roasted poetry. The taste was . . . oh my lord . . .
Stone fruit wine. I really don’t need to go any further than that. No, not plum wine. That’s common. I’ve never tasted anything like this, but winy notes were all over the place—but thankfully without any of that tannic, corky crap. I don’t think I’ve ever tasted a Wuyi oolong that was this tart and fruity, but in a refined and experienced sort of way. I certainly have never had a Rou Gui that was like this. Further infusions got even sweeter. I guess I did have more to say about Rou Gui. A sweet taste was the sweetest retribution. This expensive beauty killed me with kindness. 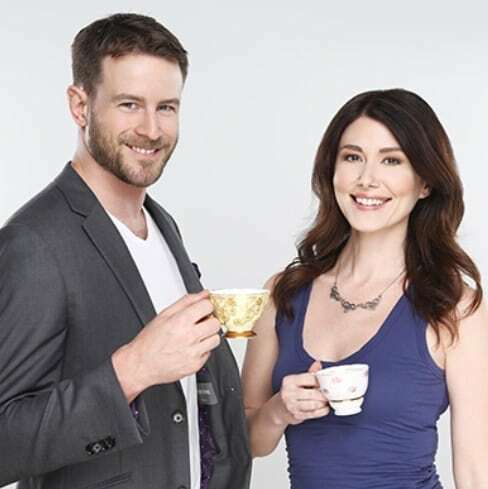 Revenge is a cup of tea best served cordially. To by the Niu Lan Keng Rou Gui, go HERE. “This tea had quite a bit of Hui Gan,” someone said to me once. 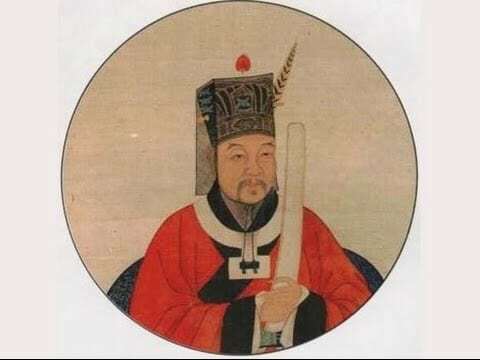 “Who’s Hui Gan?” I asked, thinking they were referring to a Chinese scholar. Clearly, I’d never heard the term before. Several people had used it in my presence, and I nodded as if I knew what they were talking about. Of course, I didn’t. I had to consult a more knowledgeable tea blogger friend to have it defined for me. “Hui Gan” can be translated as “comeback sweetness”. And—like everything else in Chinese—what that means is a tad esoteric and abstract. Finding a definitive answer online was even more elusive. Some people referred to it as the lingering sweetness found in some teas after sipping. Others claimed it was the reflection of that sweetness later down-the-line. As in, a mental reflection, followed by a craving. Like tea drinker déjà vu . . . or something. The last time I heard the term, it was from Greg “Norbu Tea” Glancy. 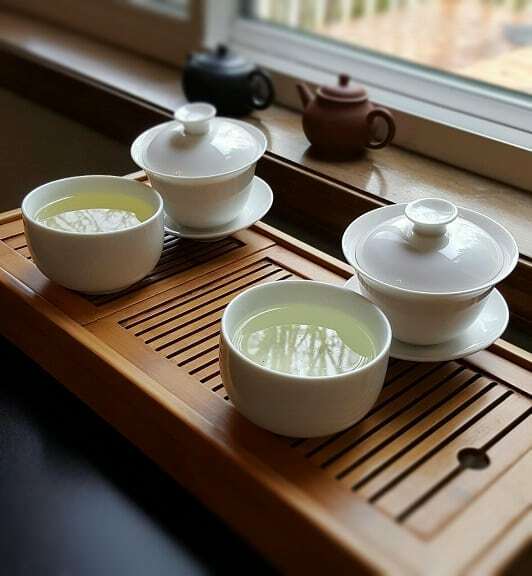 We were discussing his Ali Shan offerings, and he mentioned that his new Winter ’16 oolong had “great Hui Gan”. I was interested in doing a back-to-back comparison of that tea with a batch of the Spring 2016. 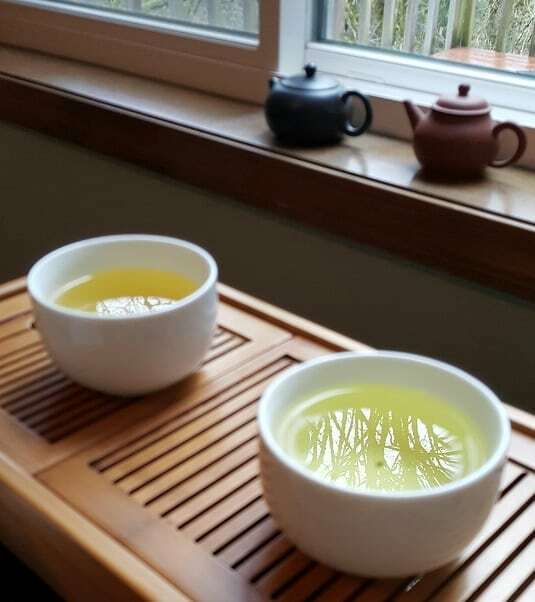 Both were greener style, high mountain Ali Shan oolongs, and I thought it’d be interesting to do a side-by-side. The whole Hui Gan hullabaloo became an added side-quest. One fine day off from work, I got to brewing. Both teas looked exactly the same—large, ball-fisted green leaves with li’l necktie stems. The Spring smelled buttery and floral, whereas the Winter had more of a “sweet bread” smell. And, I’ll be darned, that sweetness did linger, but it didn’t “come back”. But I wasn’t sure Hui Gan was supposed to show up in the aromatics or not. These were my findings after the first infusions finished steeping. 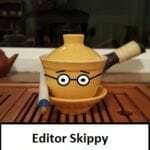 Editor’s Note: Forgive the redundancies between the video and the narrative. The Lazy Literatus filmed the tasting notes before undertaking the write-up. That . . . and his attention span is quite short. I filmed about six minutes worth of additional material with two more infusions . . . but I screwed it up. Royally. I over-steeped the second infusion on both by a good ten seconds, and they turned out tasting like burnt salad. The third fared way better—the sweetness came back!—but the leaves were still a bit shaky from the earlier abuse. That and I accidentally thought “lingering sweetness” was “comeback sweetness”. Nope . . . totally different. But then I let a few minutes go by . . . and then a few more . . . and then a few more after that. Then I suddenly had an itch in my right index finger. I grabbed my electric kettle, filled it with water, and put it back on its little ol’ heating pad. Once I saw those little fish-eye bubbles, I stopped the heat, and did a fourth re-steep of both. I think I got a good two or three more infusions out of both those sets of leaves. In all honestly, I had planned on doing an entirely different tasting session after those two oolongs. But I lost track of time . . . by a good two hours. The tasting session started at around 11AM, and I carried it on until about 4PM. The only reason I finally stopped it was because I had to leave the house to meet friends in the early evening. Did I find the elusive Hui Gan? I still have no clue. Its like the Carmen Sandiego of taster notes. 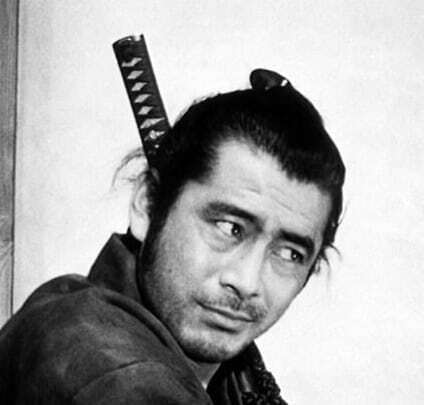 Once you think you have it pinned down—whether by sensation or semantics—you find you’re nowhere near it at all. Perhaps I’ll reflect on it more, at a later juncture. 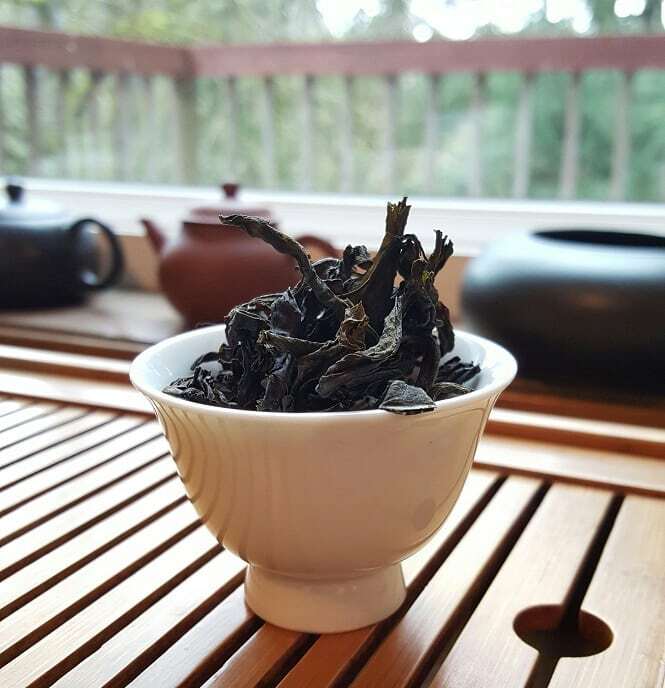 To buy the Winter ’16 Ali Shan oolong I test-drove, go HERE. See if you can find Hui Gan.